When the term jackknife is mentioned the first thing that comes to most people’s minds is the weapon. In the world of exercising and fitness, a jackknife is when the body bends at the waist and then is straightened. It’s also been described as doubling-up. This variation with kettlebells fits this description too. 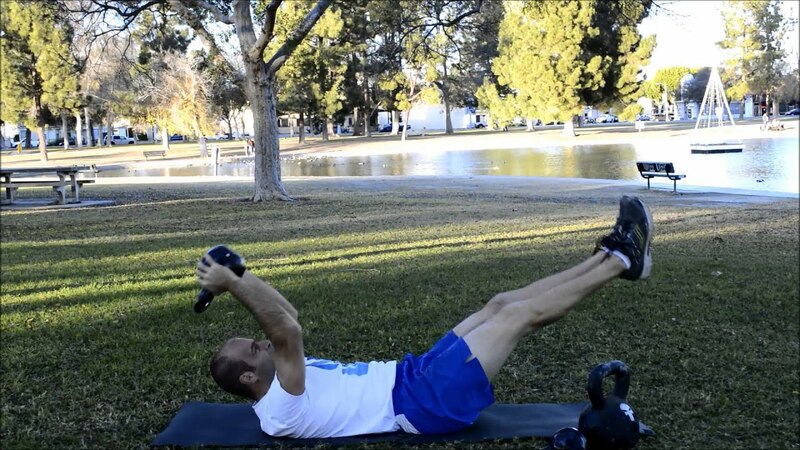 To begin, lie on the ground holding the kettlebell by the handle. Your arms should be fully extended away from your feet. Next, you’ll crunch forward by keeping your arms extended while lifting the kettlebell to the center of your body. At the same time, your legs should be meeting to have your feet or toes touch the kettlebell at that center spot. It is important to keep both the arms and legs fully extended to get the maximum benefit of the exercise. The recommended amount of reps for this exercise is 10. As with all other kettlebell exercises, I suggest a set of 2 for a total of 20 reps. Remember to give yourself a few a seconds breather in between sets. Other kettlebell jackknife exercises have you lifting one leg only while keeping the other flat.